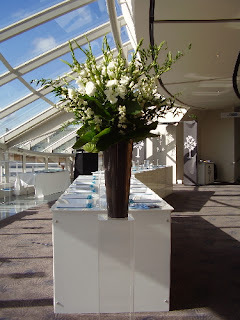 This was our first function up in the dome at Auckland War Memorial Museum. 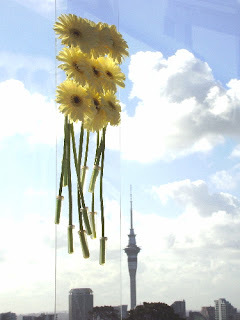 Gerberas hung at the windows on the outer edge, drew your eyes to the amazing 360 degree view of Auckland City. 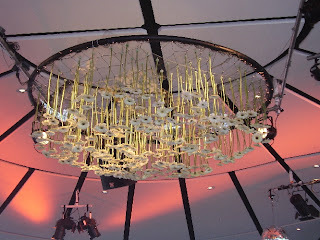 The Gerbera chandelier suspended above the dance floor, meant standing for hours hanging flowers upside-down, but the end result was well worth the aching arms.